Munich (DE), 5th December 2014. An outlook with tradition: as it does every year, BMW Motorsport once again used its Season Review in Maisach (DE), near Munich (DE), to present the cornerstones of its programme for the coming season. BMW Motorsport Director Jens Marquardt introduced the plans for the DTM, the United SportsCar Championship (USCC) in North America, the European Le Mans Series (ELMS), the 24-hour race at the Nürburgring-Nordschleife, the BMW Motorsport Junior programme, and the promotion of privateer drivers and teams through the BMW Sports Trophy. DTM: Consistency in the cockpit for year two with the BMW M4 DTM. BMW Motorsport will again race with eight BMW M4 DTMs in the 2015 DTM season. The driver line-up is virtually unchanged. Reigning DTM champion Marco Wittmann (DE), Martin Tomczyk (DE), Maxime Martin (BE), Bruno Spengler (CA), Augusto Farfus (BR), Timo Glock (DE) and António Félix da Costa (PT) will again take on the tough opposition in the DTM in BMW Motorsport colours in 2015. An announcement will be made at a later date regarding who will occupy the eighth seat. BMW Motorsport’s goal in the DTM is to add to what is already an impressive record. In 2014, Wittmann won the Drivers’ title in the Ice-Watch BMW M4 DTM, while BMW Team RMG topped the Team standings after ten races. The award for the Rookie of the Year went to Martin. Since returning to the DTM in 2012, BMW has won six of a possible nine titles and 50 per cent of all races. 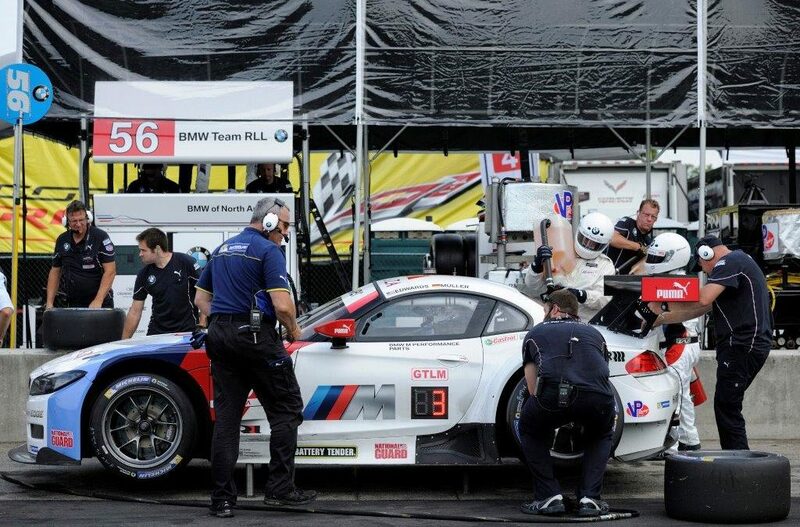 USCC: Werner and Luhr bolster BMW Team RLL. In North America, the United SportsCar Championship (USCC) enters its second season in 2015. 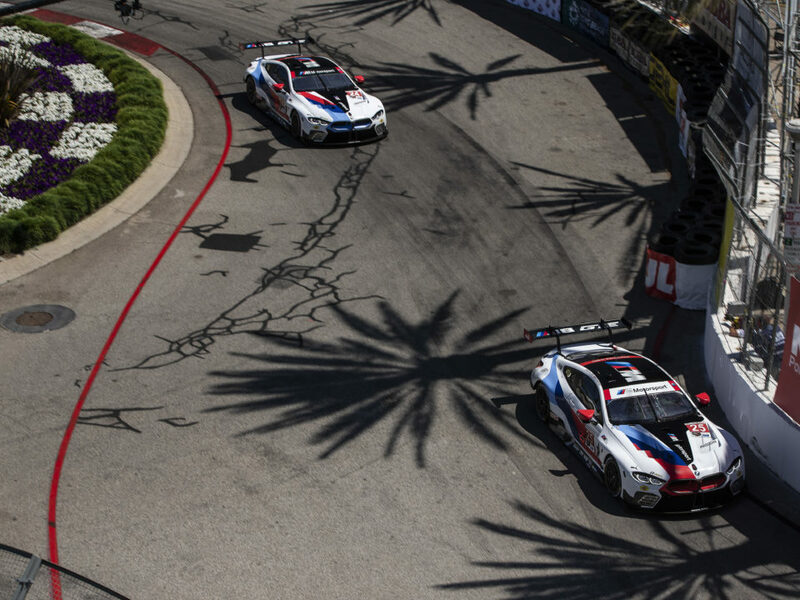 BMW Team RLL will once again fly the flag for BMW Motorsport and BMW of North America. Team Principal Bobby Rahal’s (US) outfit, which scored four pole positions in 2014, will run two new BMW Z4 GTLMs in the GT Le Mans class. Bill Auberlen (US) and John Edwards (US) will remain on board as drivers. BMW works driver Dirk Werner (DE), who raced in the American Le Mans Series (ALMS) for BMW Motorsport in 2011, returns to BMW Team RLL. Lucas Luhr (DE), who knows North American endurance racing as well as anyone, will also race for Rahal and his crew. The season gets underway with a genuine highlight on 24th/25th January: the Rolex 24 at Daytona (US). DTM drivers Spengler and Farfus will also be in action at this endurance classic, as will Jens Klingmann (DE) and Graham Rahal (US). European Le Mans Series: Priaulx to spearhead project. 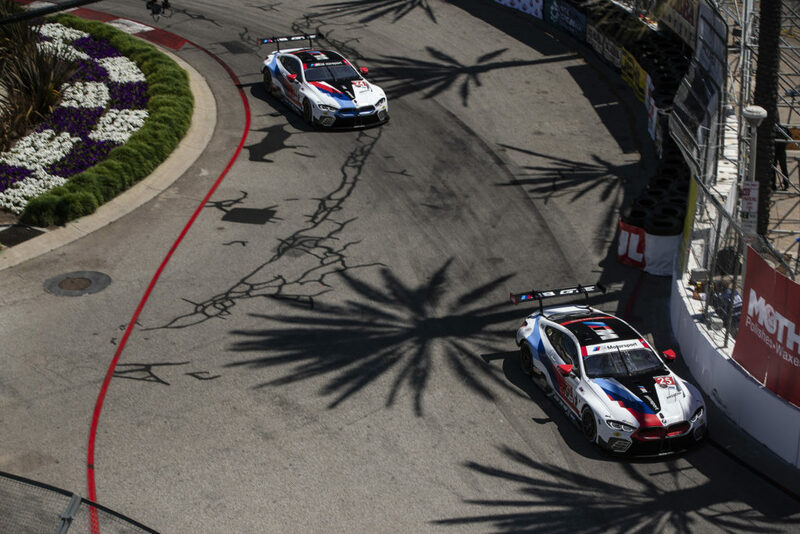 BMW will once again be represented at the pinnacle of GT racing on the European side of the Atlantic in 2015. New to the programme are starts in the European Le Mans Series with the BMW Z4 GTE. Five races are scheduled between May and October for BMW Sports Trophy Team Marc VDS. One man has already been confirmed as one of the drivers for BMW’s outings in the ELMS: Andy Priaulx (GB), who was crowned World Touring Car Champion with the brand on three occasions between 2005 and 2007 and spent last year racing in the United SportsCar Championship. As a world-class driver, he will spearhead the trio at the wheel of the BMW Z4 GTE. 24h Nürburgring: Nordschleife experts set sights on victory. In 2015, the BMW Z4 GT3 will return to challenge for overall victory at the Nürburgring 24 Hours (DE), spearheading a traditionally huge BMW contingent of teams, drivers and car models. In the cockpit will be experienced drivers, who are at home in the Green Hell, as well as some promising youngsters. Dirk Müller (DE), Jörg Müller (DE), Jens Klingmann, Dominik Baumann (AT), Alexander Sims (GB), Claudia Hürtgen (DE), Dirk Adorf (DE) and junior Jesse Krohn will take on the challenge of the Nürburgring-Nordschleife. 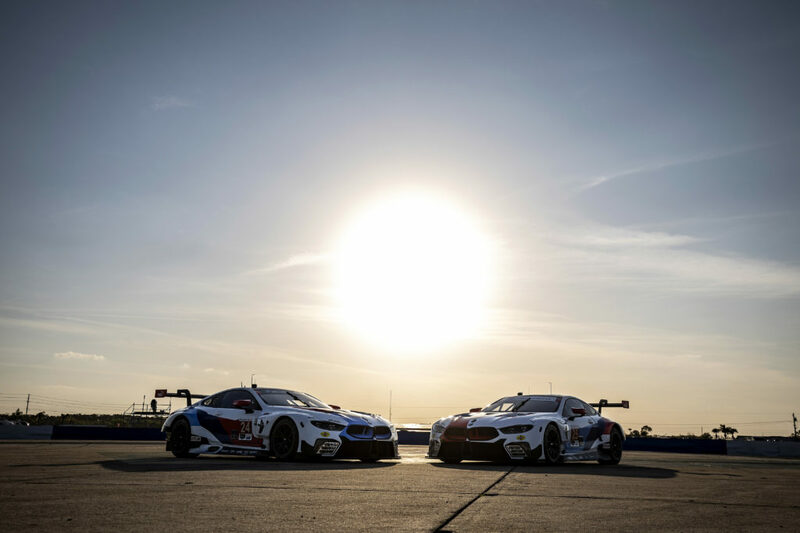 They will be joined by drivers from BMW Motorsport’s DTM and USCC programmes, including Marco Wittmann, Martin Tomczyk, Augusto Farfus, Lucas Luhr and Dirk Werner. BMW Brand Ambassador: Zanardi ready for another season. Alessandro Zanardi (IT) was presented with a BMW Sports Trophy award for “Comeback of the Year” at the BMW Motorsport Season Review. In 2015 the Italian will once again push himself to the limits and fly the flag for BMW Motorsport in a BMW Z4 GT3 specially adapted to meet his unique requirements. Zanardi’s race schedule will be announced at a later date. BMW Motorsport Junior programme: On the hunt for new talent. Following its successful debut since being realigned, the BMW Motorsport Junior programme enters its second year in 2015. The names of the talented youngsters looking to follow in the footsteps of Jesse Krohn (FI) will be announced at the start of the new season. Krohn proved to be the strongest driver in this year’s inaugural class, which BMW Motorsport prepared for a future career in GT racing with outings in the BMW M235i Racing and a sophisticated training and education plan. Krohn will take the next step in his career in 2015, when he will fly the BMW flag in GT racing.